Hey, spinning! 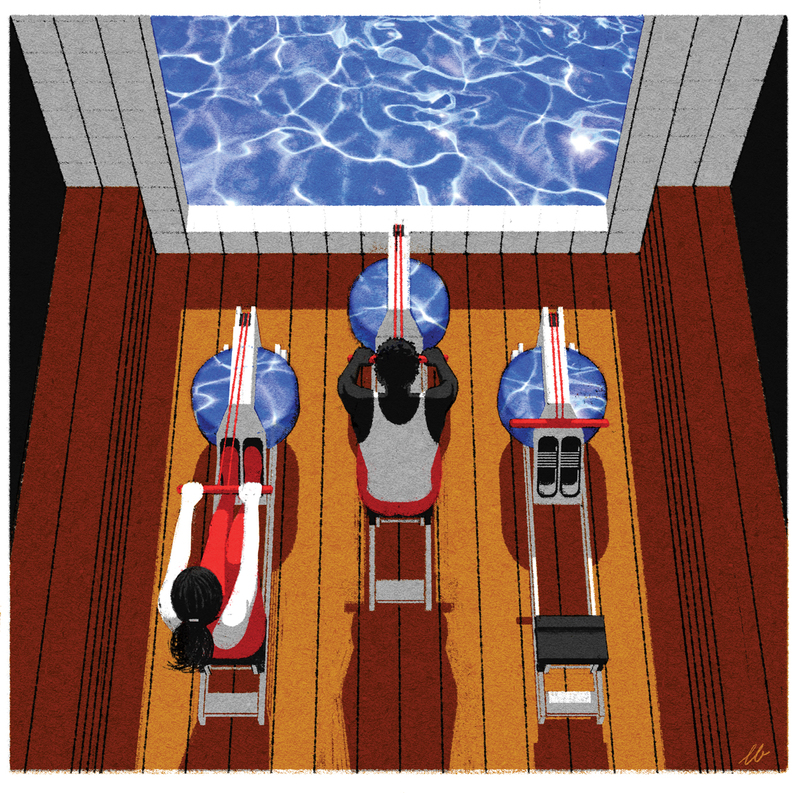 There’s a new hot workout in town: indoor rowing. This oft-neglected gym machine has gotten a modern makeover and is finding its way to boutique studios across the country, including Total Row in Buckhead. Here, owner Elliott Smith, a former runner who discovered rowing while rehabbing a running injury, explains why this should be your next go-to workout. 1. It works your entire body. Think rowing is all upper body? Think again. According to Smith, a single rowing stroke works 86 percent of the body and nine of 11 major muscle groups. 2. It torches up to 1,000 calories per hour. The cardio workout incorporates several large muscle groups at once. “The rowing seat is wide and low to the ground, so it helps distribute body weight and limits impact on knees, hips, and joints,” says Smith. 4. It works for all levels. 5. It uses real water. TR45, the studio’s signature 45-minute class, incorporates rowing intervals with strength training using kettlebells, slam balls, and TRX straps for a fast-paced, full-body workout. Total Row Fitness, 3655 Roswell Road. This article appears in our March 2019 issue.